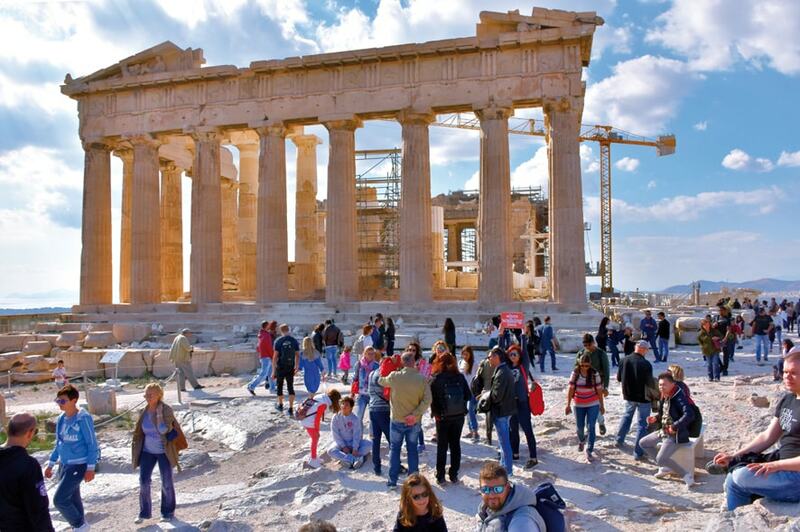 Beat the heat and the crowds by visiting the Acropolis early in the morning! Entering on the south slope of the Acropolis, you’ll visit the Dionysus Sanctuary and Dionysus Theater before you walk up the slope leading to the Acropolis monuments. Panoramic views of the city will be perfect for Instagram-ready photos. The tour ends on the Acropolis at approximately 10:15 am. 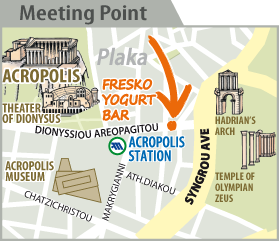 Tip: While you wait for your guide at the Fresko Yogurt Bar, it is a good opportunity to try a serving of fresh authentic Greek yogurt, best when topped with honey or a Greek spoon sweet. Be sure to ask for a free sample! € 20 for the adults, covering all the sights that will be visited. € 10 for students outside the EU (with current student ID). € 10 for the adults, covering all the sights that will be visited.